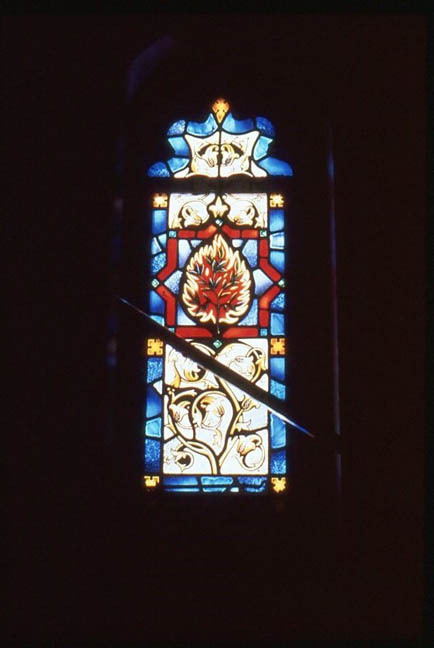 Brief Description of Subject: Arched window, mostly ornamental, with eight-pointed medallion depicting the Burning Bush. Made by J. Wippel + Ex. Co. Ltd., of Exeter, England. All church windows installed by Bela Britok, of Detroit, MI.